53 pages. The 2017 cost competitiveness benchmarking study is an update to the previous study done in 2014. This 2017 update examines the production cost for twelve major rubber products of the latex and dry rubber goods sectors, taking into account changes across various cost elements in the last three years. 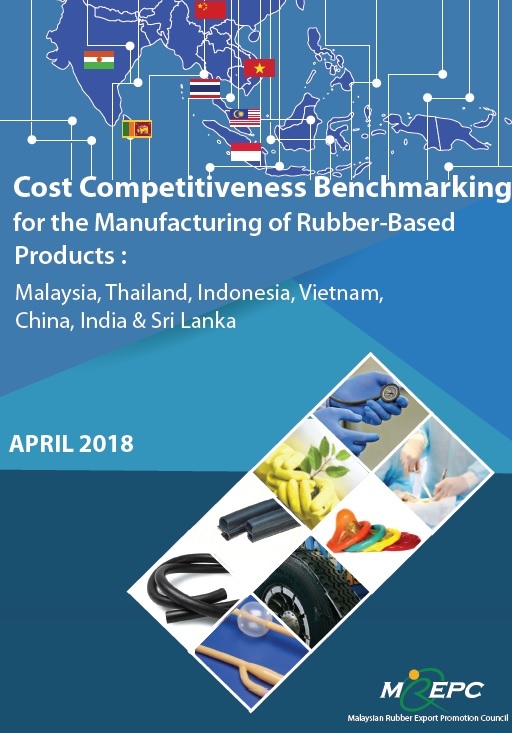 The study assess Malaysia’s competitiveness vis-à-vis rubber product manufacturers in six countries, namely Thailand, Vietnam, Indonesia, China, India and Sri Lanka. The report also includes a new segment on outlook for 2018.